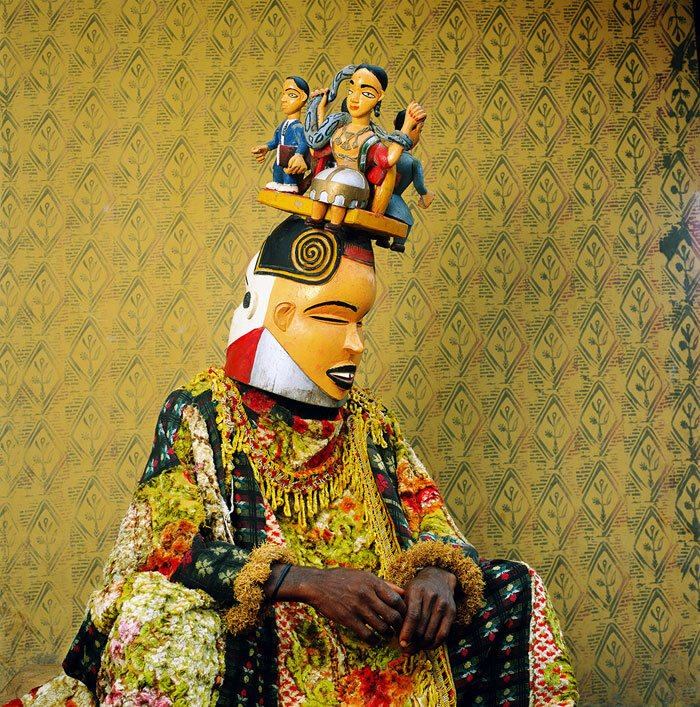 As we gear up for our MASQUERADE JAM this Wednesday, April 17th at Alliance Francaise and prelude party our way to the third annual CHALE WOTE Street Art Festival, we bring you a bit of mask magic to increase your vim. 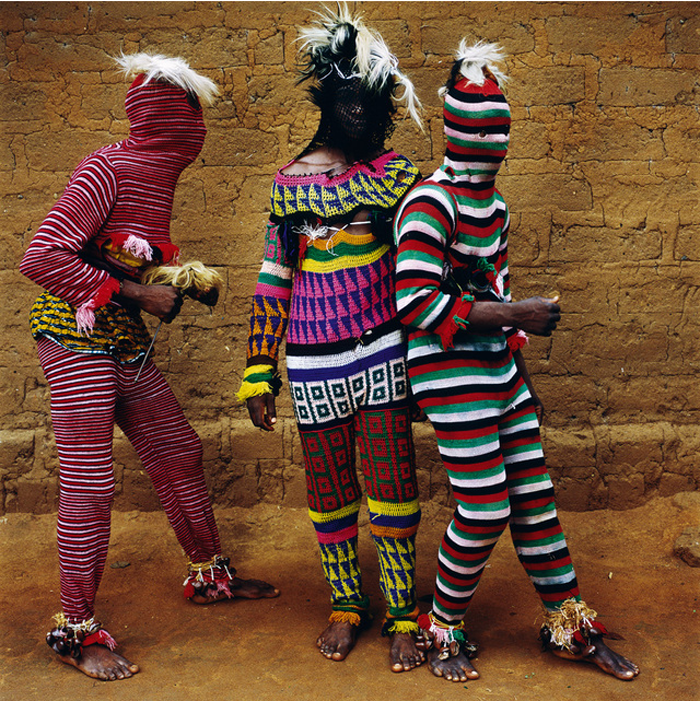 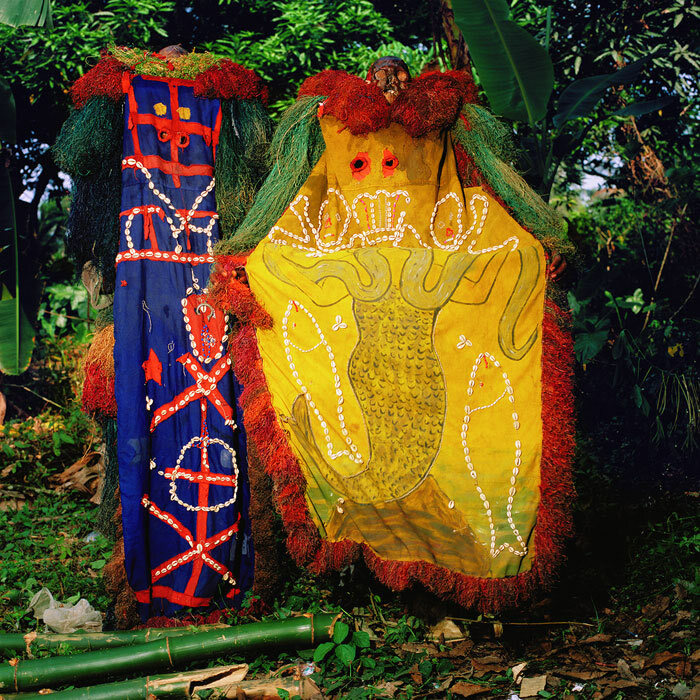 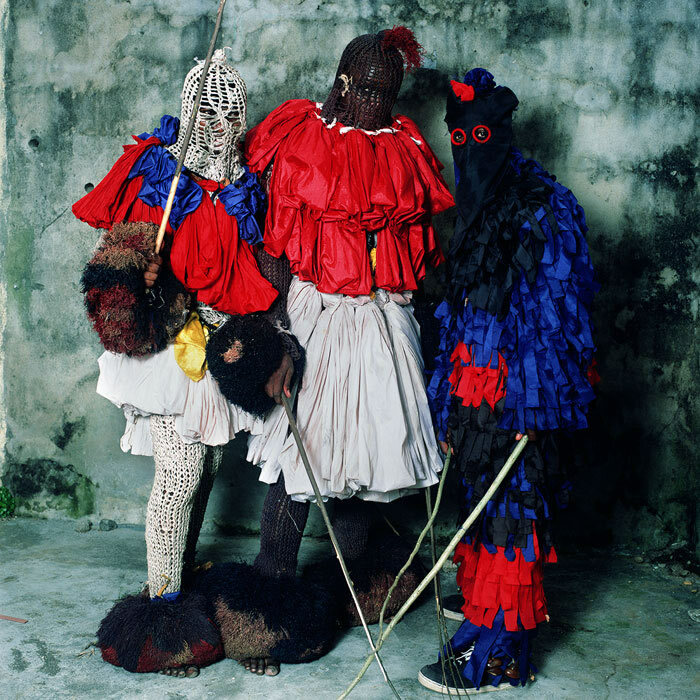 Phyllis Galembo’s fascination with masquerade began during a first visit to Nigeria in 1985. 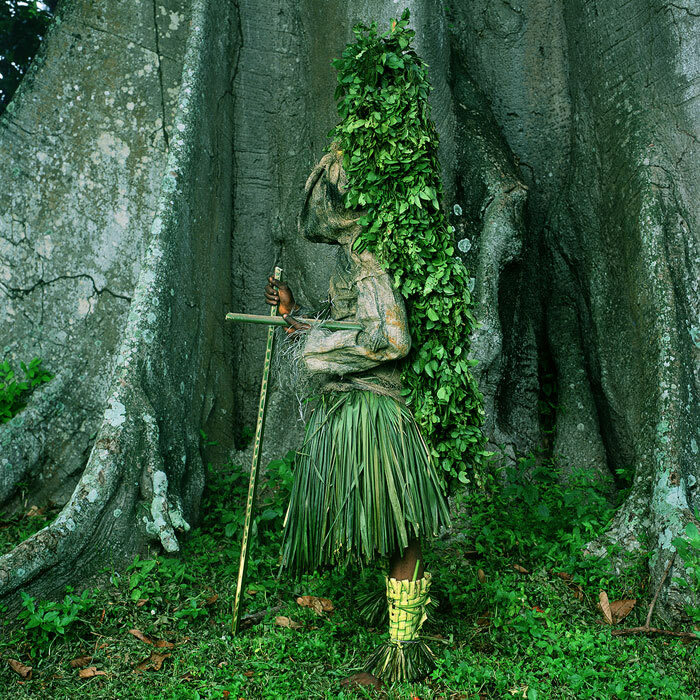 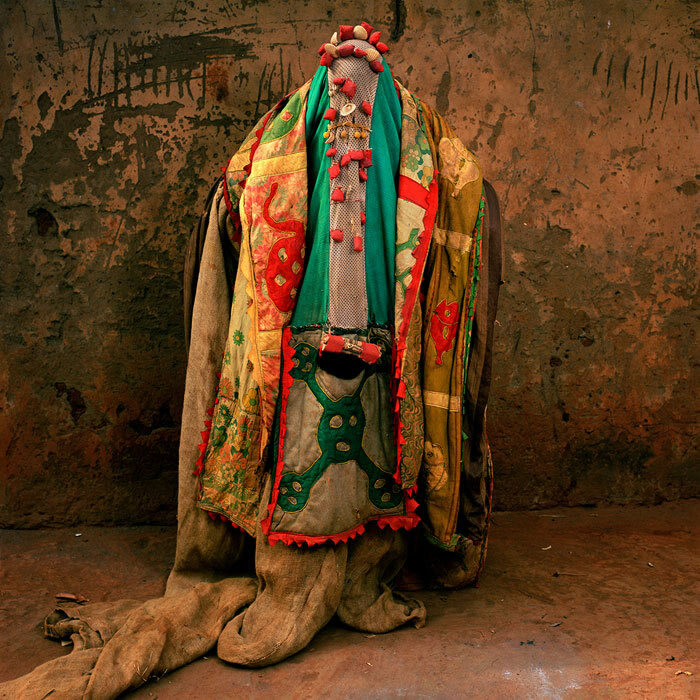 As a former Fullbright scholar, her background in anthropology led her to explore the global phenomenon of concealment and disguise in ritual performance. 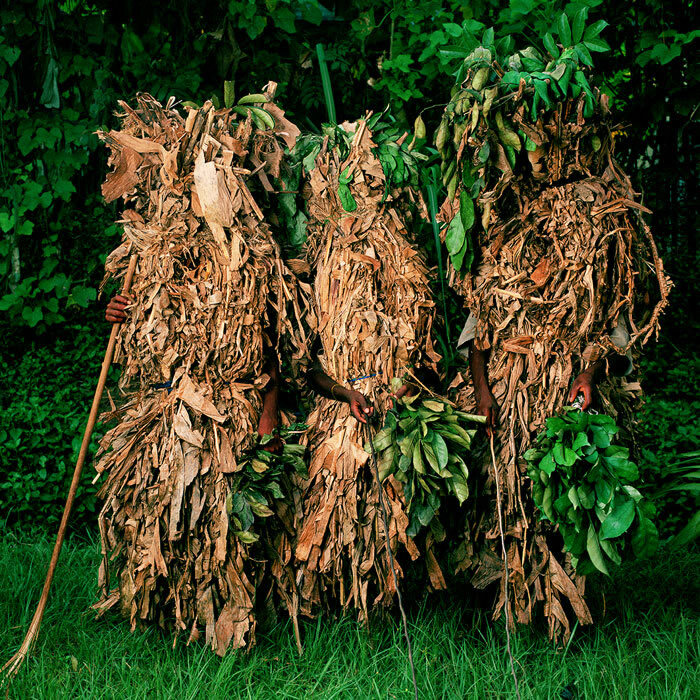 For over twenty years, Galembo has photographed religious and cultural rituals in Nigeria, Brazil, Jamaica, Cuba, and Haiti, among other places. 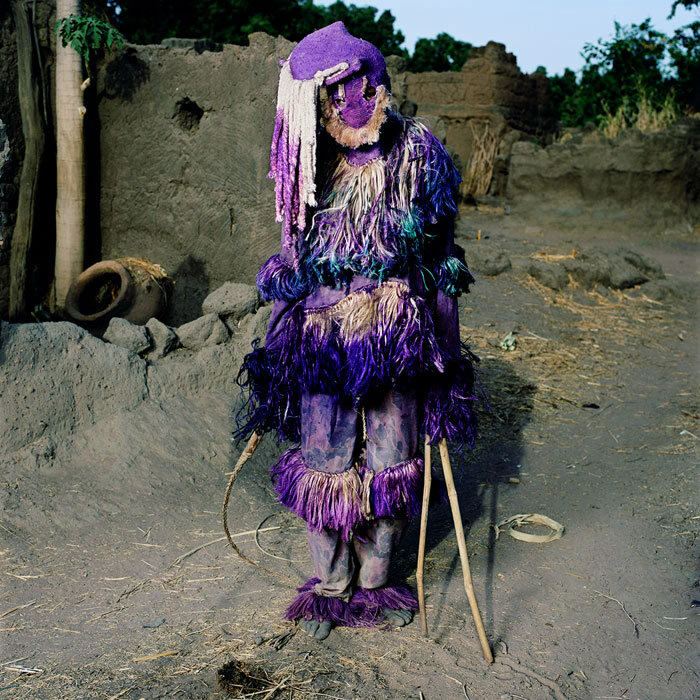 She’s also photographed masquerade culture in the U.S., examining how Halloween normalizes myth and fantasy for public consumption. 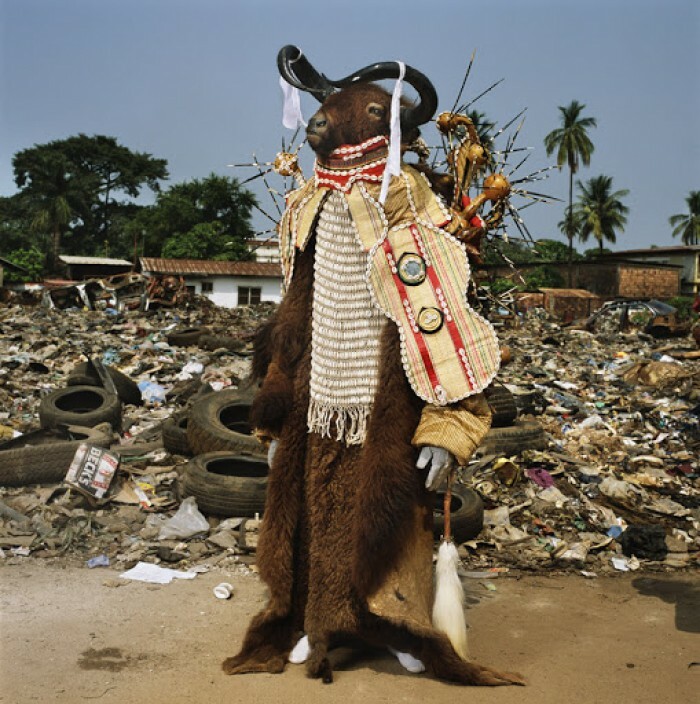 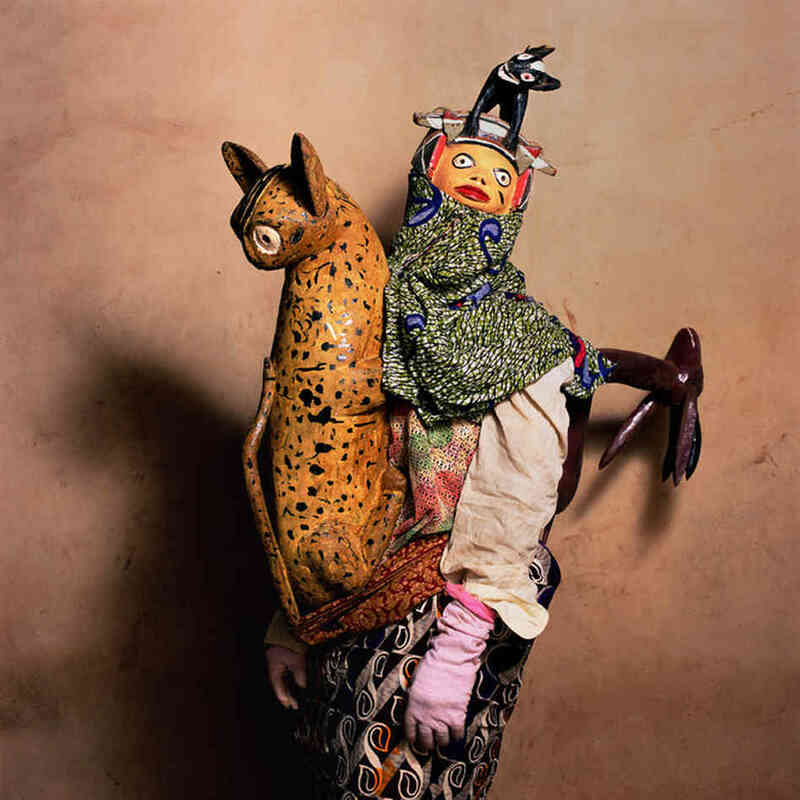 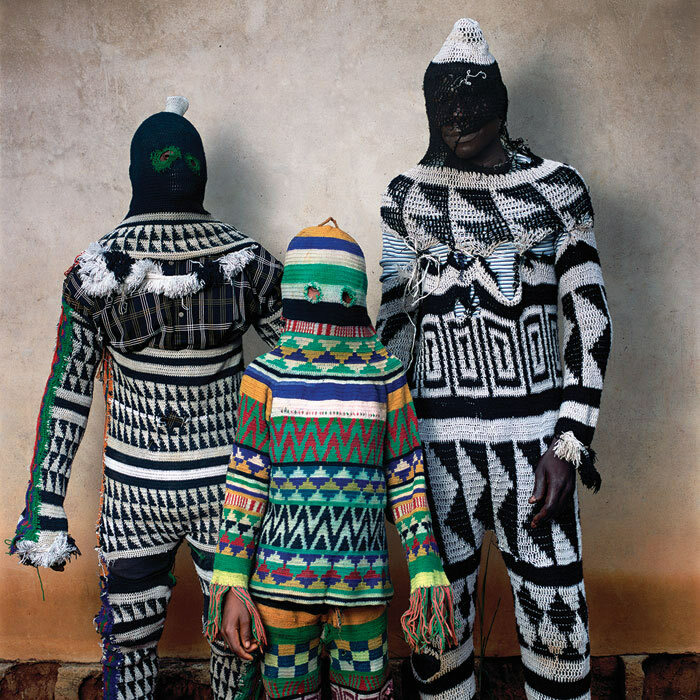 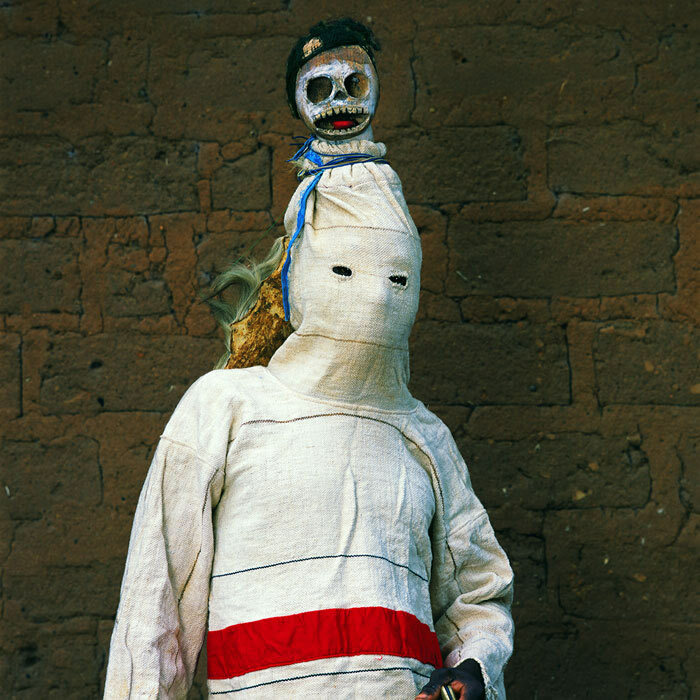 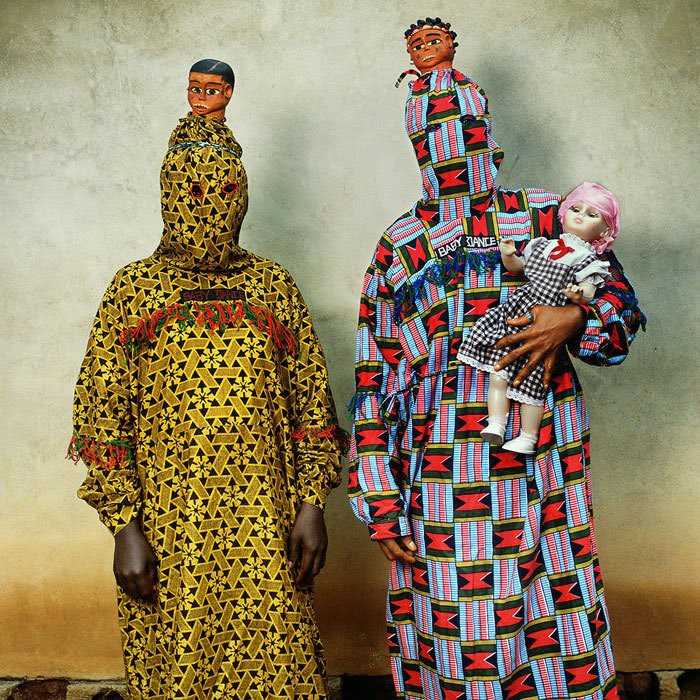 Her most recent book, Maske , explores the diverse array of costume rituals in West Africa and its diaspora. 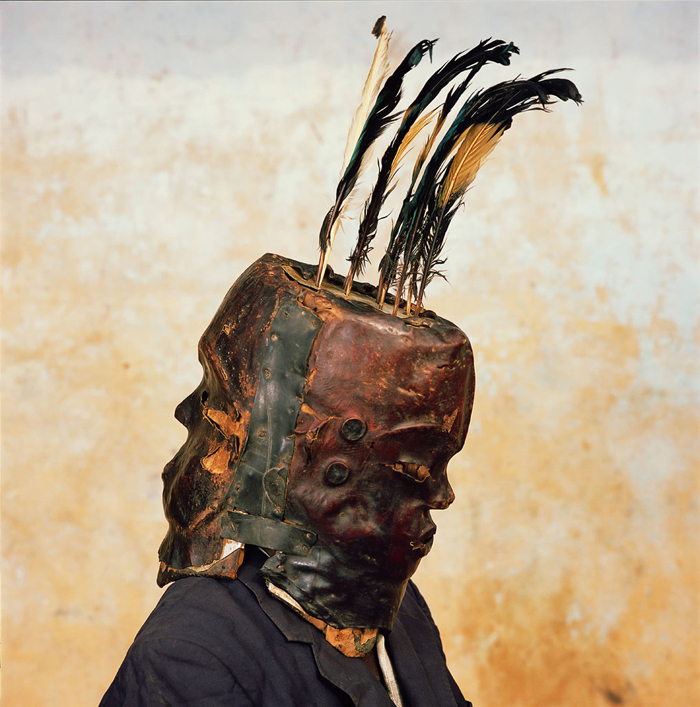 In these instances, masks are more than aesthetics. 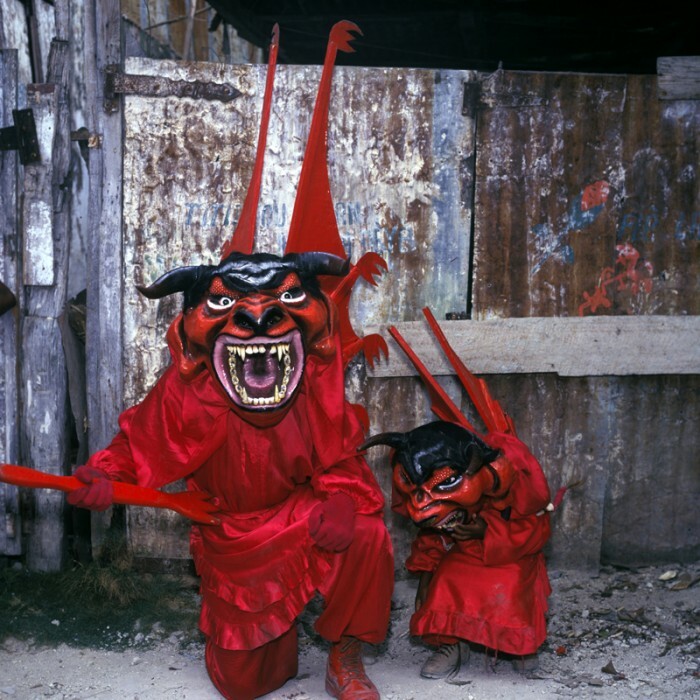 Masquerade is an integral part of tradition and historical identity, a rite of passage, and an indicator of spiritual fortitude [or coolness]. 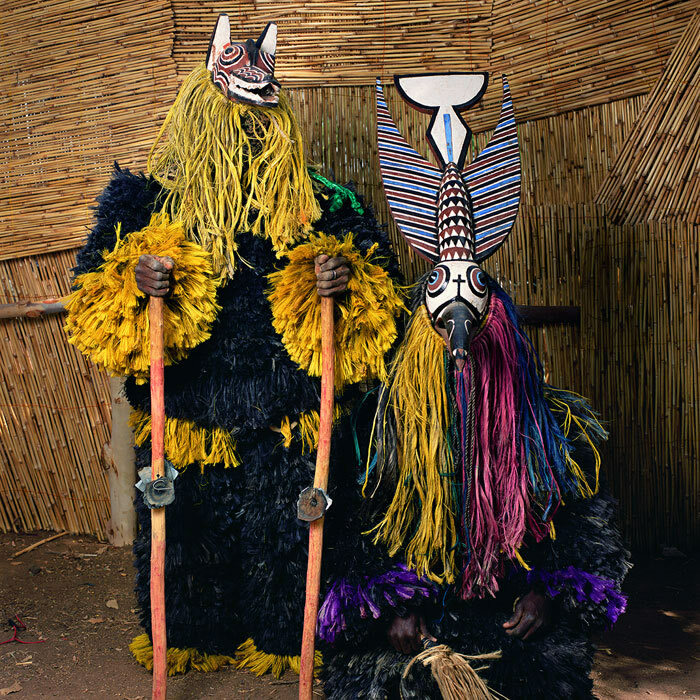 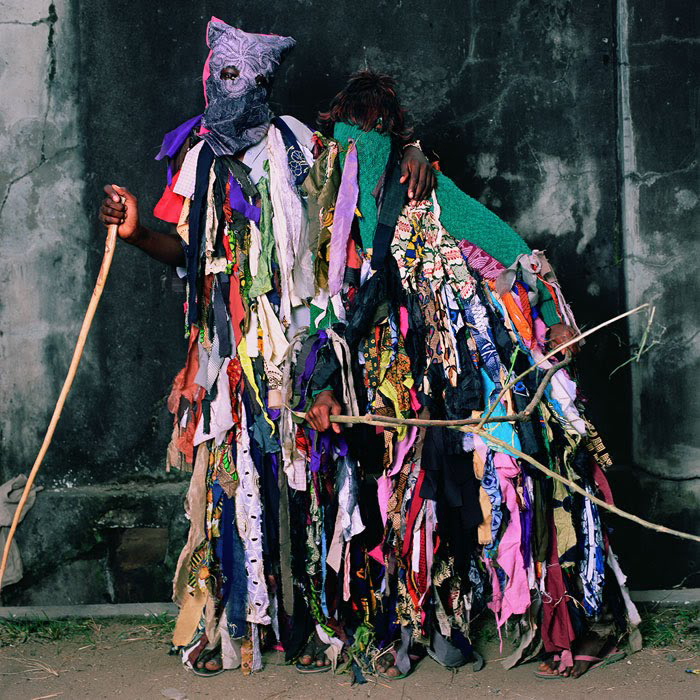 Phyllis Galembo uses ethnographic photography to build windows into the enchanting world of masquerade. 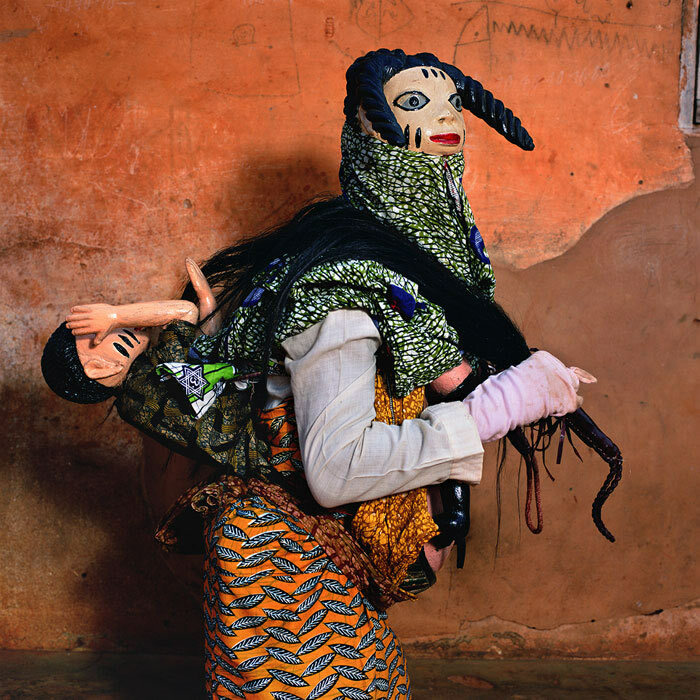 Anthropology and art intersect in her images, and the resulting portraits are strikingly beautiful. 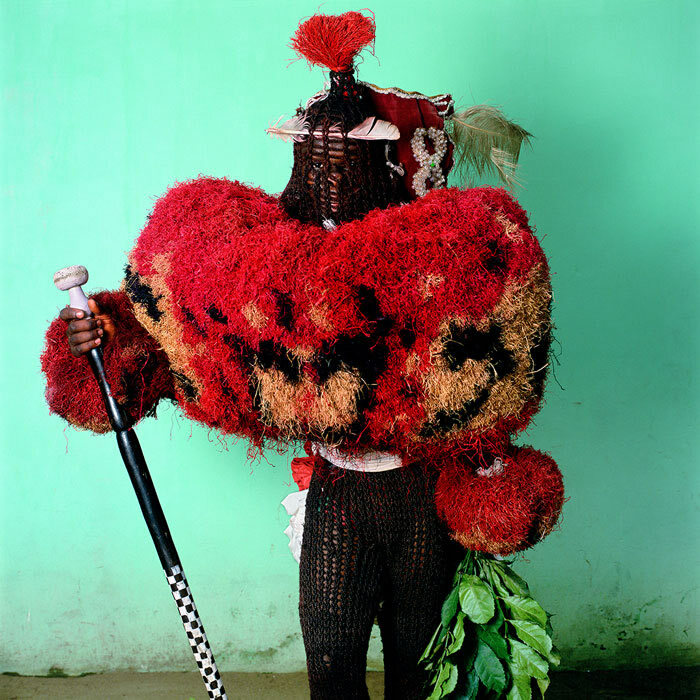 Galembo snaps us a world of deeply saturated colors, voluminous textures, and mythical characters set in African and African diasporic communities all over the world. 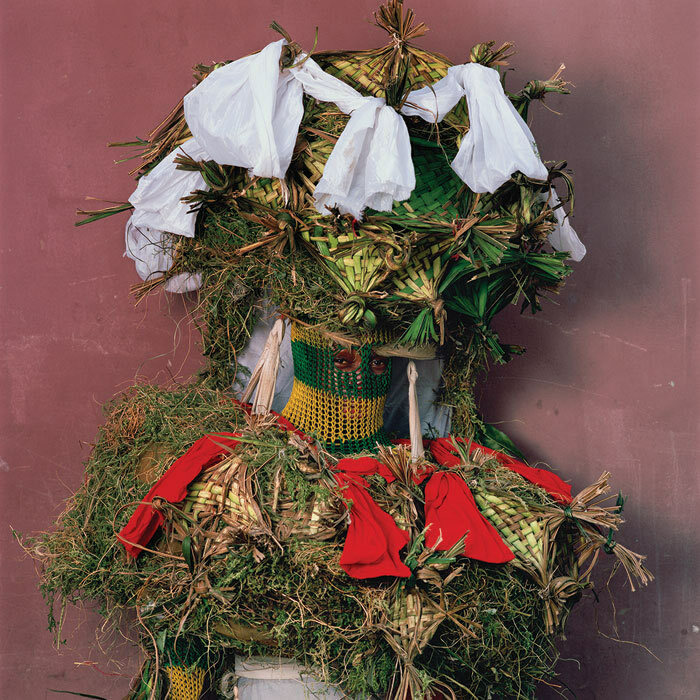 What is it that makes her work so mystifying? 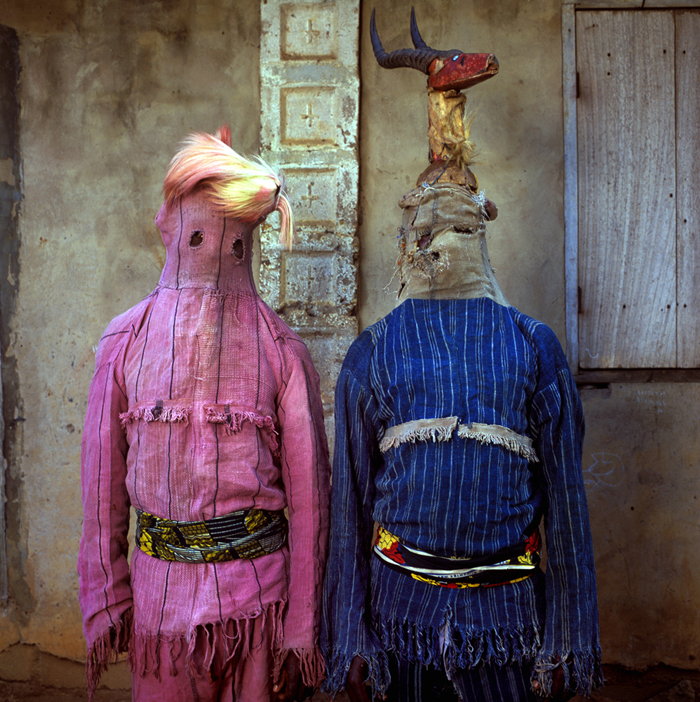 Perhaps it is the fact that we are as drawn into the costumes as we are to those concealed behind the mask. 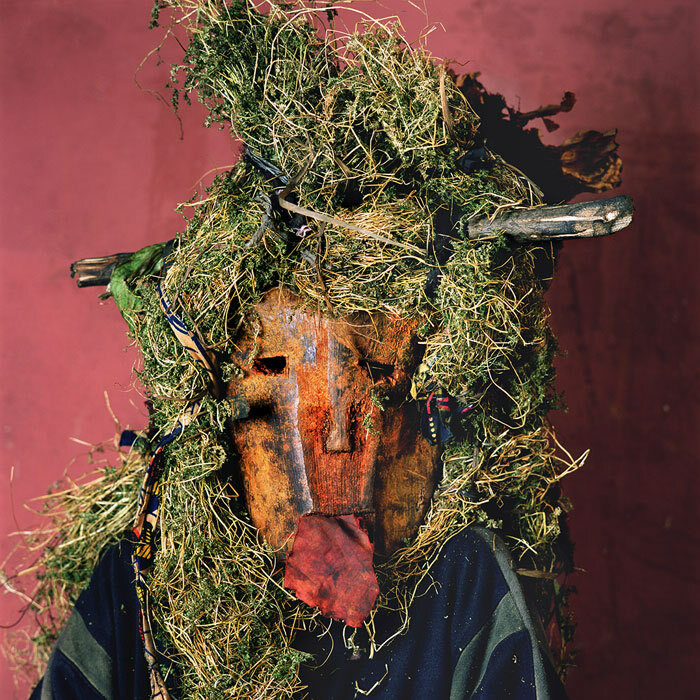 The masquerade costume remixes the body with signs that mark power, play, desire and fantasy. 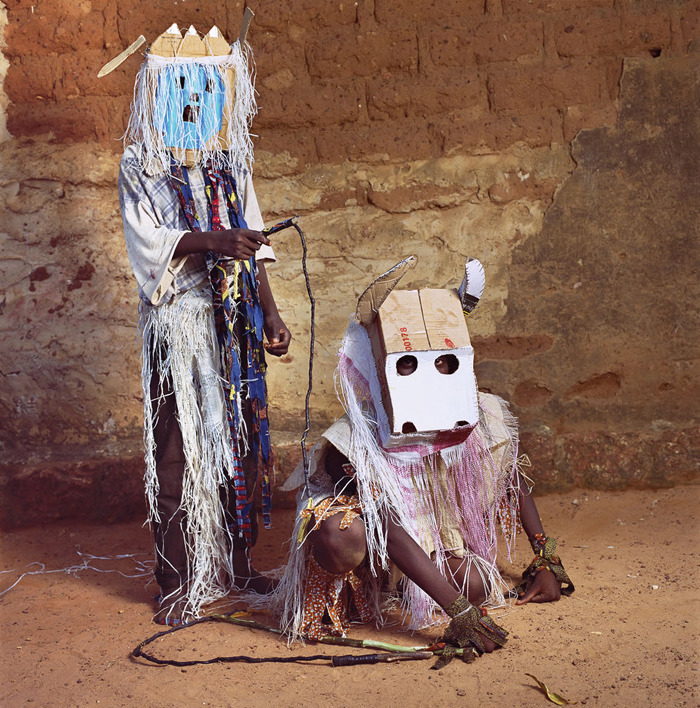 Galembo’s subjects use masks to create alternative identities, bring mythic characters to life, and transform ordinary humans into supernatural beings.